Happy Birthday to the Mixonian! Nine years for a business is quite an achievement, especially during somewhat adverse economic times. In French the word neuf means both nine and new. Nine is the highest single digit Arabic numeral. You can’t go any higher without tacking on an extra digit. Nine has the last say, every time. We dress up to the NINES any time we want to look important. There are nine members of the Fellowship of the Ring in The Lord of the Rings saga, to balance and combat the nine Nazgûl, or Ringwraiths. On cloud nine means happy, euphoric or ‘high’. The phrase came into use in the 1950s from a term used by the US Weather Bureau. For the meteorologists Cloud Nine is cumulo-nimbus cloud at a height of 10 km, which is high even by the standard of clouds. Psychologist Carol Dweck who made “growth mindset” a thing through her extensive research and book, Mindset: The New Psychology of Success (2006). Growth Mindset frames the way a person reacts when confronted with failure, a challenge, unexpected bad news or any sort of setback. 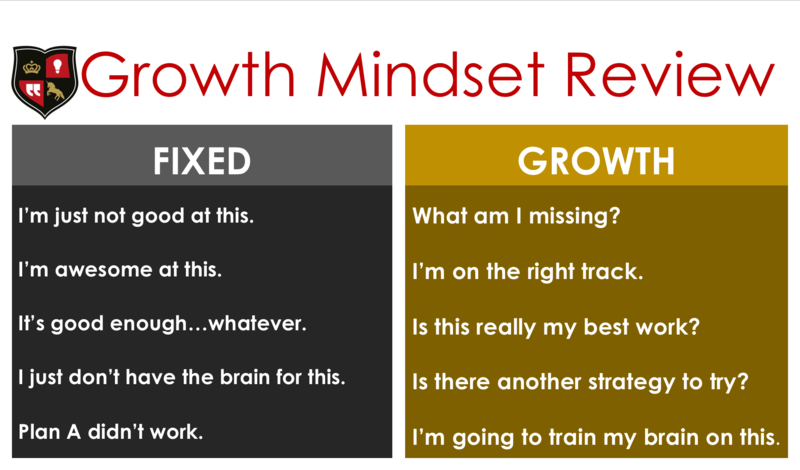 The slide below, taken from our workshop on the topic of Growth Mindset shows the thoughts of a person with Growth Mindset or its counterpart, Fixed Mindset. You can just see from the slide that growth mindset is more conducive to achievement than fixed mindset. In other words, growth mindset and achievement go together like PB & dark chocolate. The basic reason people don’t achieve their goals is because they give up too soon. Growth mindset promotes tenacity by seeking a different approach or acknowledging any form of progress. 1. Growth Mindset = Tenacity. Fortunately I discovered growth mindset in 2008, before opening Mixonian Institute in 2009. 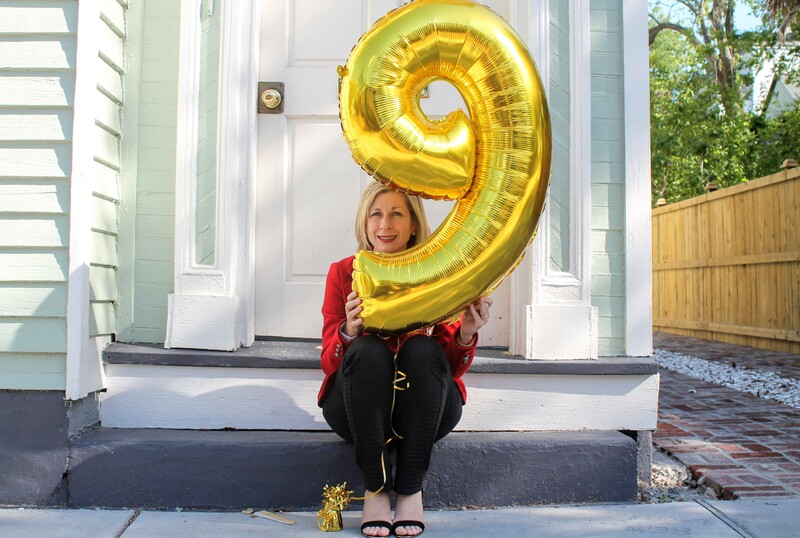 This mindset is why the business is here to celebrate its 9th year. 2. A person with growth mindset sees change as a challenge instead of a threat.The Mixonian Institute constantly faces threats from new competitors: specialists in public speaking, people skills, growth mindset, theatre, improv, leadership and innovation. Still, none of them can possibly develops or deliver content the way Mixonian does . 3. Growth mindset keeps the focus on solving the problem, not on why it can’t be solved. With any financial downturn, the first thing companies cut is training, especially soft skill training. But that doesn’t mean there isn’t a huge, growing market for teaching professionals the skills they need to take their performance to the next level and thus increase revenue. 4. Growth mindset celebrates small improvements rather than waiting for the Big Transformation. Each new client is still received like it’s Christmas morning, whether it’s a multiple workshop engagement or a single lunch and learn. With fitness, finances, organization, career growth, acknowledge any progress as a step in the right direction! 5. Growth mindset promotes positive emotional states like courage, that fuel achievement. While disappointments are part of life, it’s remarkable how developing growth mindset means less time feeling disappointed. Seriously I get bored with feeling down these days and switch to at least mildly enthusiastic on a dime. 7. A person with growth mindset doesn’t spend time and energy trying to prove himself. There is no time for this. 8. A growth mindset avoids drama. Drama is expensive. According to Reality-Based Leadership expert, Cy Wakeman estimates that the average person spends two hours each day in drama—complaining, creating stories, and arguing with reality. Your circumstances are what they are, but your reaction to them is always up to you. A growth mindset is not blind to problems and can even be temporarily drawn into drama in the workplace. However, the growth mindset has the focus on finding solutions, which means less drama. 9. Growth mindset doesn’t throw in the towel. Before Mixonian, I believed that any business that solved a problem could make it. My main concern back in 2009 was in carrying a large enough purse to catch all the money my grateful clients would throw at me, as expression of their happiness with better communication habits. While purse size hasn’t been a problem, the Mixonian is no longer a side hustle and there are now 3 people behind this endeavor to help small and medium-sized companies be more competitive and profitable through training leaders and employees. Here’s information on the Growth Set Learning Lab and others: What are Mixonian Learning Labs?